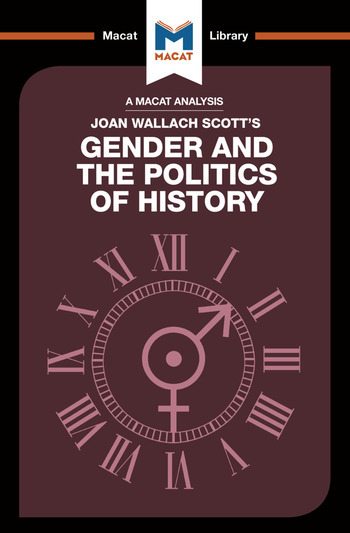 Joan Scott's work has influenced several generations of historians and helped make the topic of gender central to the way in which the discipline is taught and studied today. At root a new way of conceptualizing capitalist societies, Scott's theories suggest that gender is better understood as a social construct than as a biological fact. Scott’s original contribution to the debate, however, stems in her use of the critical thinking skill of analysis to understand how the arguments of earlier generations of historians were built in order to fully grasp both their structure and the assumptions that underpinned them. From there, Scott was able to use problem-solving to resolve the issues that emerged from her analysis, asking productive questions focused on better ways to build a model capable of explaining the historical phenomenon of gender difference. Scott answered these questions by introducing models created by deconstructionist scholars – notably Jacques Derrida, who challenged the idea that any term or concept has a stable or dependable meaning rooted in material reality. She was able, in consequence, to refute that idea that gender inequality is the natural (hence justifiable) consequence of biological sexual differences, and issue a fundamental challenge to the capitalist system itself. Dr Pilar Zazueta holds a PhD in history from Columbia University. She is currently a lecturer at the Teresa Lozano Lond Institute of Latin American Studies at the University of Texas, Austin, where her research focuses on gender and the History of Food and Nutrition Public Policy in Twentieth-Century Mexico. Etienne Stockland is researching a PhD in Environmental History at Columbia University. He has taught at Columbia and at Sciences-Po.